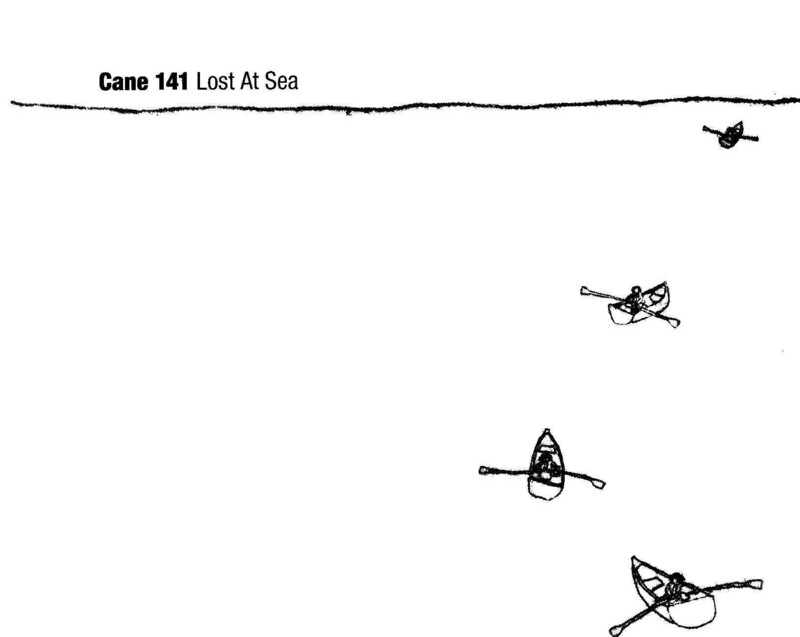 Cane 141 is Galway, Ireland experimental musician Mike Smalle and various collaborators who join with him along the way. This outing was created originally as an accompaniment to an art installation done by Róisin Coyle. The theme of the art exhibit was the ocean, in all its vast loneliness, and the music evokes this, not just with its spacious, watery sounds, but also with the voices that drift in and out of the mix, specifically the voice of some salty old sailor telling his tales of the sea. This is ambient music that is sometimes as minimal as it gets, with a single simple sound floating along, but other times it is quite rich and complex, with multiple layers of music, found sounds and voices (some singing wordless vocals), as they shift and change, with emergent rhythms and haunting melodies. Granted, I did occasionally find the voices a little distracting, especially when I want the music to drift in the background of my consciousness. The stories pull you in, which I suppose is what is intended, but that seems a little contrary to the concept of ambient music to me. Still, when they do draw you in, they are interesting, and add an emotional layer to the sonic seascape. They fascinate because they aren’t just drony voices reading from a printed page, the voices are real, memories and snapshots of people’s lives. The samples are used tastefully, but would be nothing but samples if the music didn’t hold up. Gladly, it does, providing the listener with a unique experience. You will feel lost at sea, and not mind at all.